Our rocket is approaching another atmospheric layer — buckle up for a next level upgrade with COBINHOOD Exchange. For this developers update, we decided to change things up a little bit. We’ll be showing you first what we will be working in the coming weeks to keep us all excited for what’s ahead for the platform. After this, we’ve included notable quality of life improvements that we have implemented thus far. Fixes and changes that are not included in this post will be included in the next one so make sure to follow our blog to stay updated. Expect this major crypto-financial feature to be available on the exchange by June. Various technical complexities are involved in integrating this feature, so the exact date when this will be launched in June will be announced on a separated blog post introducing everyone on how margin trading will work on COBINHOOD. Now that we have made ERC20 tokens listing process more manageable, expect to see coins based on other blockchains to also be integrated on the exchange starting in March! UTXO-based coins like Litecoin and Qtum, other QRC20-based tokens such as Bodhi, and DAG-based coins like IOTA and Nano will be rolled out within the coming weeks. Once other blockchains are integrated on the exchange, other popular non-ERC20-based tokens should also be listed, accordingly. Again, a separate token-listing schedule will be posted to inform everyone at least a week ahead of the exact dates when these coins will be listed. We have observed that there are still some cases where users experience issues when depositing (most notably if deposited from multi-signature wallets) and withdrawing out of COBINHOOD Exchange. We are working to streamline the process and decrease the cases of such issues from happening. Users have already noticed a considerable improvement in the way we process account level verifications. This is due to the increased manpower poured into this endeavor as well as a much-simplified process for the team and the users (because of the updated KYC verification UI). But starting in March, the process should be even more efficient as the customer support team will continue to grow, as well as significant software improvements on the KYC software the team uses. To make the development process more efficient, auto-test scripts will be integrated into the development flow. By adding various frameworks to make feature integration more stable, auto-test scripting will help the development team save time and make issues less likely when documenting test scripts. When you access COBINHOOD Exchange on a web browser, we have integrated a Responsive Web Design to help ensure a better experience of the platform. Now when users resize the browser, the exchange should scale accordingly to the users’ browser size preference. You should be able to keep better track of your orders as you can now hover over your order to see the partial orders that are completing it until status is fully-filled. We are on a mission to help the world embrace cryptocurrencies, and in doing so, we have implemented localized versions of the platform in these ten languages. More shall be added eventually. As mentioned earlier, weekly token-listings should be expected. This should ramp up the number of tokens that can be traded on the exchange which should significantly increase the current 30+ tokens and 60+ trading pairs available to trade with zero trading fees. The COBINHOOD APIs are designed to provide access to all the features of the COBINHOOD Exchange platform. An API Key tab can now be accessed to manage API keys. A fix has been deployed to allow us to process deposits from multi-signature wallets. While we still do not encourage users to deposit from multi-signature wallets, as a solution for users who have done so, we are now able to generate address refactor that can help transfer users’ funds, accordingly, to their COBX account. 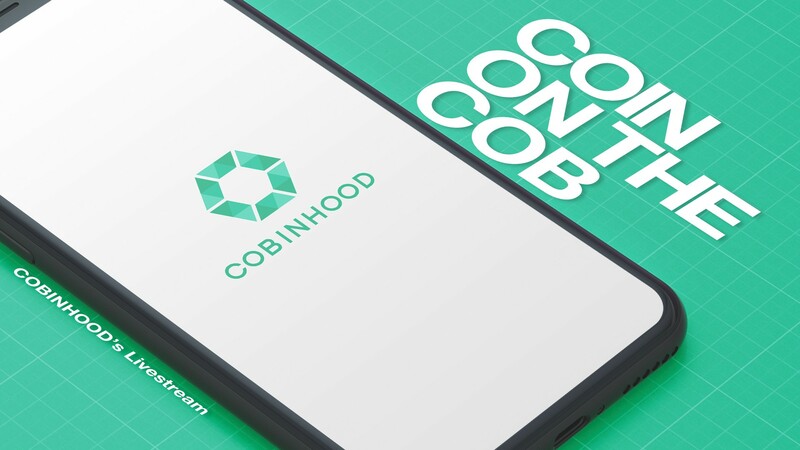 For users using Android devices, the COBINHOOD app now accepts account level applications through your phones. Now it will be easier for you to apply for higher withdraw fund limits! To help improve users’ estimation of the prices of currencies on the platform, the USD valuation of a token is now displayed next to the last trade price based on prices fetched from CoinMarketCap (CMC). Regional differences in number formats have been taken into account to make trading easier for traders wherever they are in the world. If you’re in a region where the number format is `0,000` or `0.000`, a number format exception has been integrated to auto-detect what format your location uses. For users located in China, an individual APK build is now available especially catered for this region. Moreover, NetEase Captcha integration has also been deployed. Users can now make changes and modify the amount and prices of placed orders without having to cancel orders. Every time a user accesses the app for the first time, after the network is back, or back from background mode, RESTful API requests are now implemented for the first fetch. We now fetch the chart data from RESTful API rather than the web socket for lower latency. A new YouTube show has been launched to help traders, new and old, to understand and know about the latest tokens and ICOs that are worth investing in. Our focus would be to discuss coins that are listed on COBINHOOD Exchange, hence the title, Coin on the COB, but we aim to expand across other platforms as well. On this show, we will invite developers, CEO, or key community leaders to help connect the COBINHOOD community and their respective communities to see the benefits of accumulating or trading their coins on the exchange. As an exchange, tokens live in our platform. And this show is kind of like that —will connect people and various communities together in this very program — Coin on the COB!